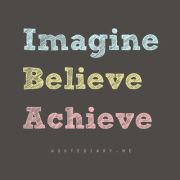 As I am writing this, I am actually almost done week 10! Last week was a busy week! In the beginning of it, I started to get really sick and was trying my best to sleep it off. Could be because Halloween was a busy week and/or it might of been just a culmination of not sleeping well or enough and feeling slightly overworked. We had a fun week last week! Unfortunately, the many pictures that I took have many of the students' faces so I cannot post them here. 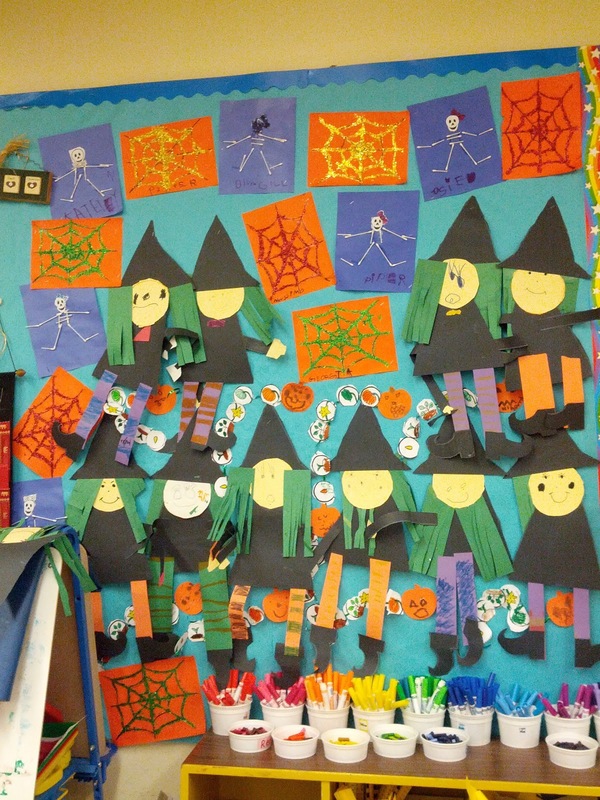 We completed all of our Halloween art projects, a Halloween assembly and a Halloween party. 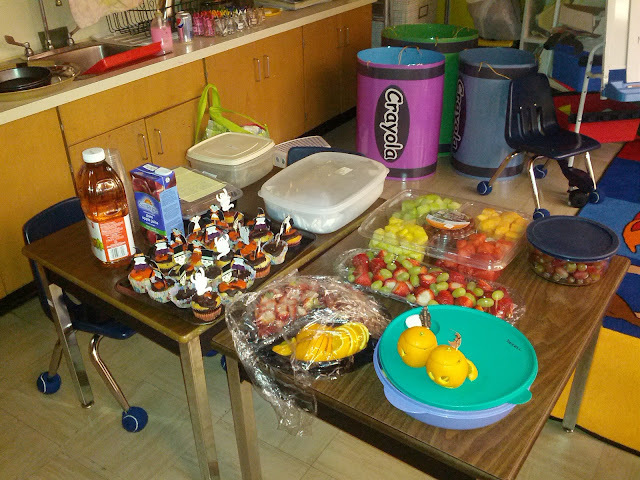 Immediately the next day after Halloween, I started our Remembrance Day mini unit focusing on being peacemakers. Exciting stuff! We read 'Shake dem Halloween Bones' by W. Nikola-Lisa. We sang the song in the book! They really enjoyed the book! 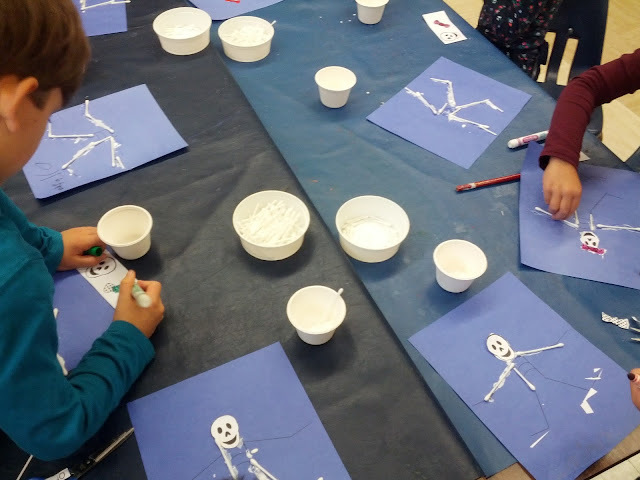 We also made Skeleton Q-Tip people! 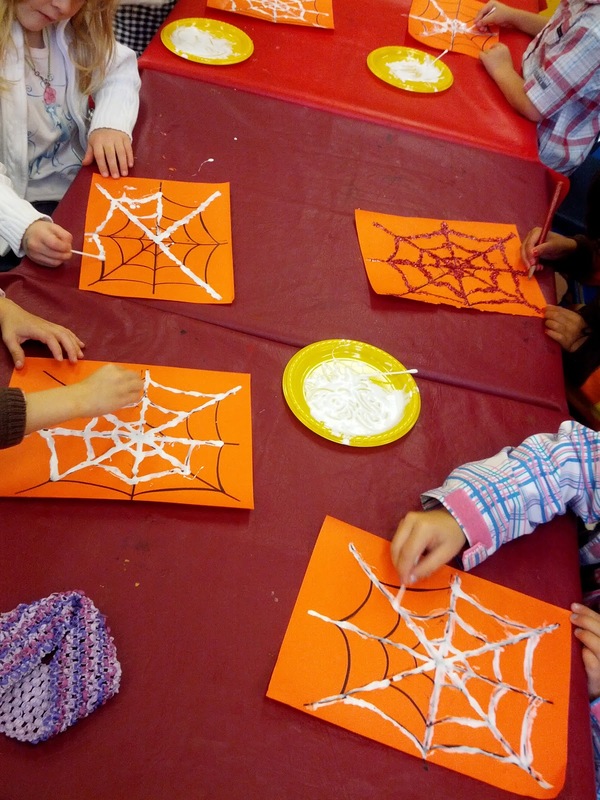 We made sparkly glittery spider webs! They did an amazing job! 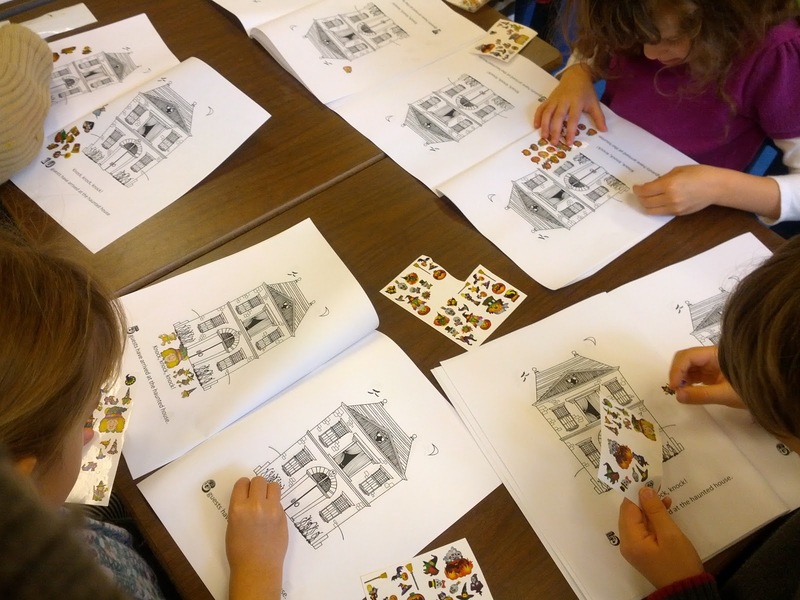 With their Halloween counting book (1-10), they got to stick on Halloween Stickers! Our Halloween Bulletin Board! 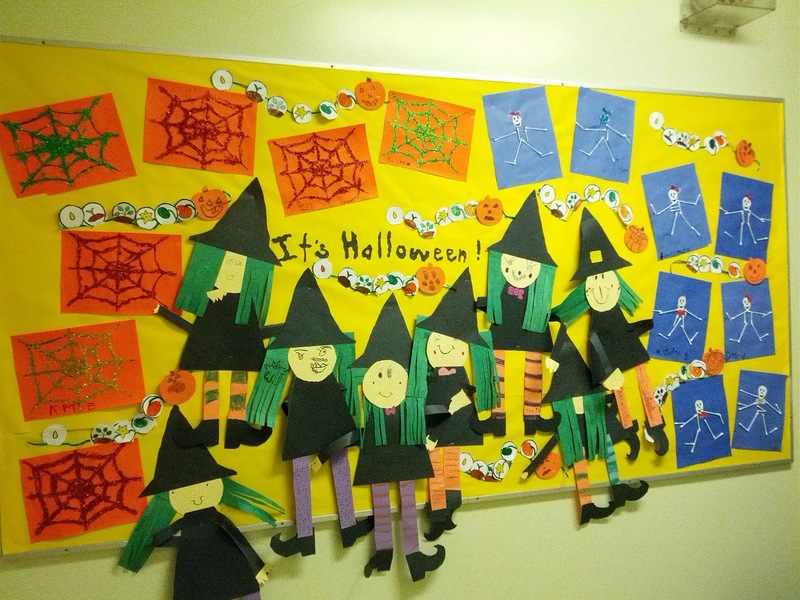 Look at those witches! That was a big project and they did a fabulous job! 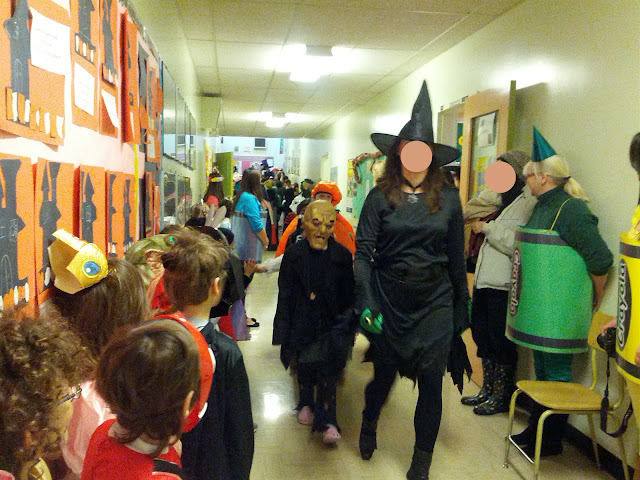 Halloween Parade down the halls! 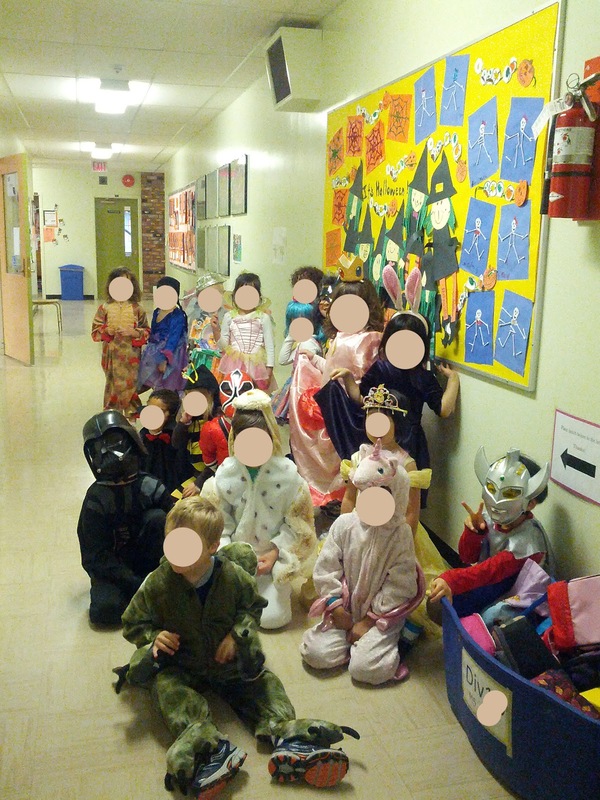 Almost everyone in their festive Halloween costumes! They were all so cute! A police woman came to visit us to talk about Halloween safety! 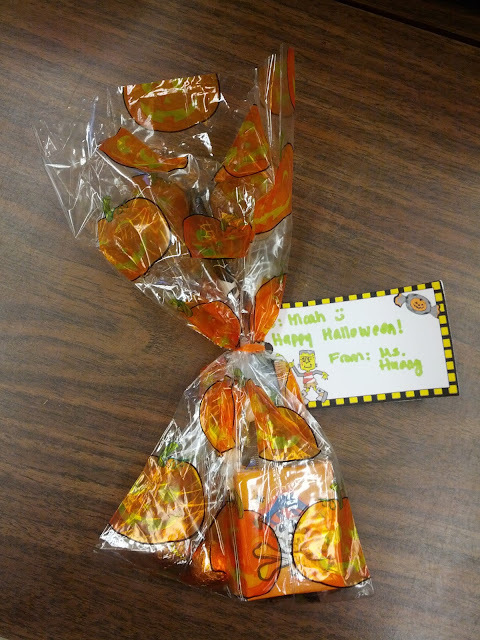 My little treat for each of my kinders! 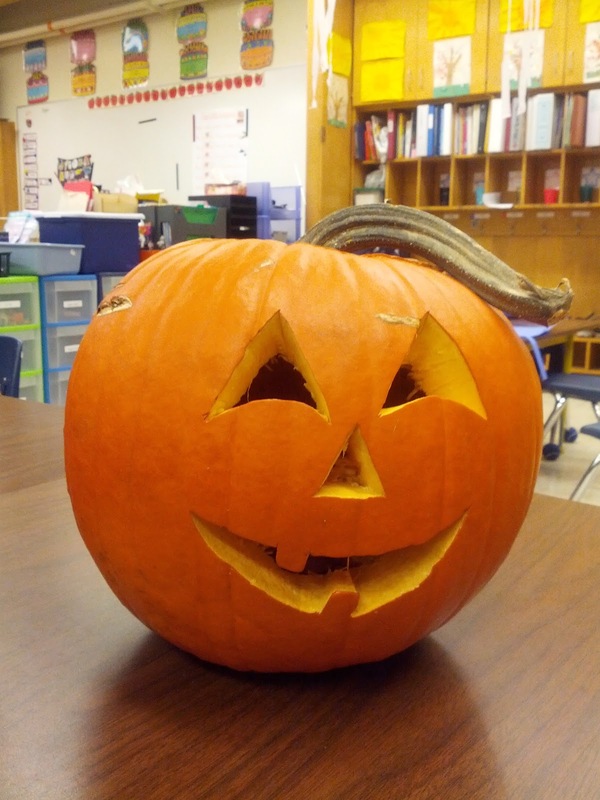 Isn't this such a happy pumpkin? I love the 'hair' on the side! Our Halloween classroom party! Thanks to all the parents for the food! Yum! Hope everyone is doing well! See you soon.